Lecture - "Modernist Cuban Painters, 1320-30," Alejandro Anreus, PhD, Associate Professor of Art History and Latin American Studies, William Paternson University. Panel discussion "Photography outside of Cuba" - with photographers Luis Mallo and Gladys Triana, Jorge Moya Curator/Collector, moderated by Ricardo Viera Professor of Art and Director/Curator Lehigh University Art Galleries. Piano Recital - Martha Marchena, concert pianist and professor at Kean University presenting music by Tania Leon, Aurelio de la Vega, Rene Touset, Juan Piñera, Ignacio Cervantes, Jose White, and Ernesto Lecuona. Suggested Donation $50 per person. 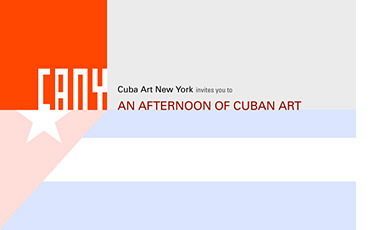 This event is presented in combination with the photography exhibit in the Kean University Gallery CAS building titled Cuban Americans in Focus which runs from October 30, 2007 to January 18, 2008 showcasing a selection of Cuban American Photographers from the Lehigh University Art Collection.